In this photo provided by Ashley Hopkins, people wait in lines at Dallas-Fort Worth Airport in Dallas, Wednesday, Oct. 14, 2015. WASHINGTON -- U.S. Customs and Border Protection says the computer systems used to process international travelers at airports across the United States went down for about 90 minutes Wednesday evening. 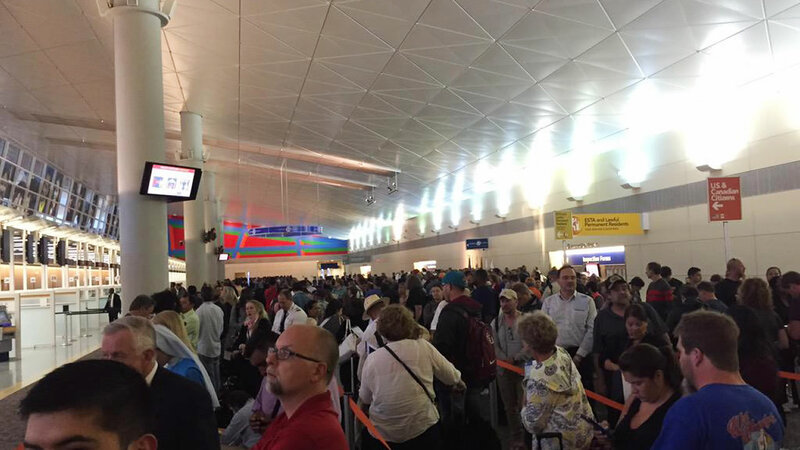 The outage led to widespread complaints on social media, with passengers posting reports of long lines at airports in New York, Boston, Dallas-Fort Worth and other ports of entry into the U.S. The agency says Customs agents processed international travelers using "alternative procedures" until the systems were back online. Customs says "there is no indication the service disruption was malicious in nature."